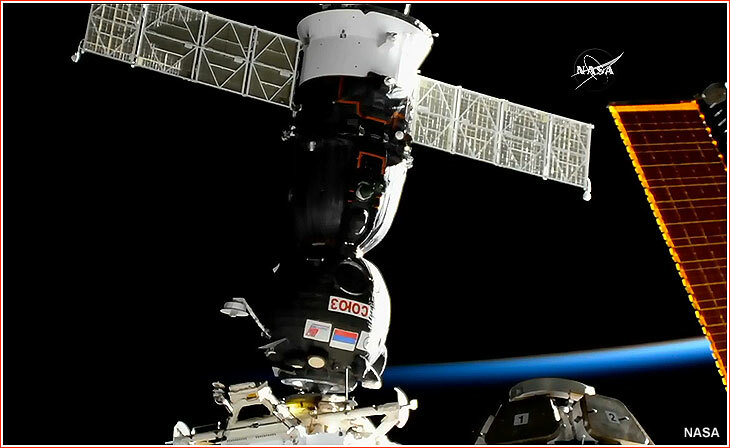 Soyuz MS-05 followed the six-hour 19-minute rendezvous profile with the International Space Station. As usual, the spacecraft relied on an automated rendezvous mode under control of specialists on the ground and the crew on the ISS. 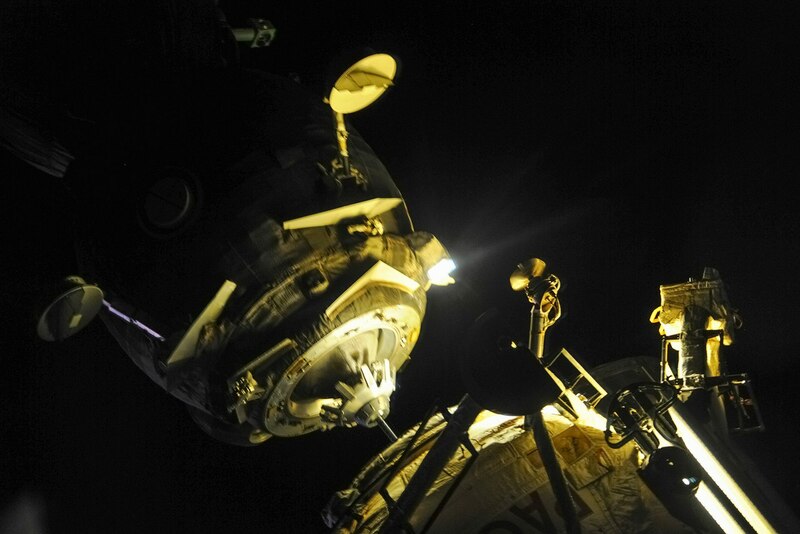 The docking of Soyuz MS-05 at the MIM1 Rassvet module, a part of the Russian segment of the outpost, was scheduled at 01:01 Moscow Time on July 29, 2017, (6:01 p.m. EDT on July 28), however, in reality, the first contact between the transport spacecraft and the station took place at 00:54 Moscow Time on July 29 (5:54 p.m. EDT on July 28), as the vehicles were entering orbital night time over Europe. Following standard pressure checks, the hatches between the transport ship and the station were scheduled to open around 7:40 p.m. EDT on July 28, according to NASA. Aboard the station, three fresh members of the Soyuz MS-05 crew will join Fyodor Yurchikhin, Peggy Whitson and Jack Fischer, who had arrived to ISS on Soyuz MS-04. The new team is expected to work on the outpost for 4.5 months and return home on Dec. 14, 2017. NASA astronaut Jack Fischer and ESA (European Space Agency) astronaut Paolo Nespoli will grapple Dragon using the space station’s robotic arm. 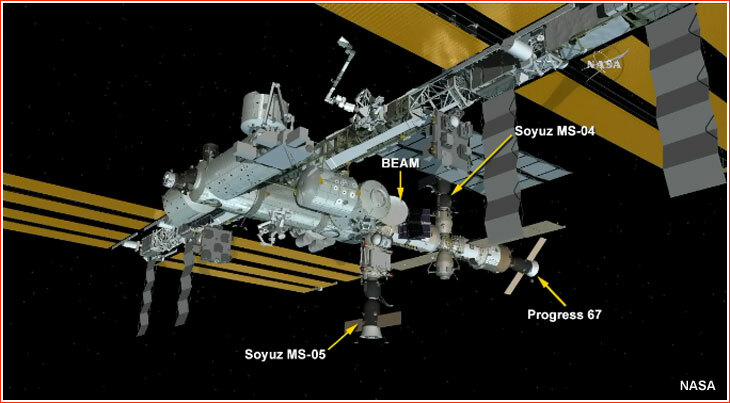 It then will be installed on the station’s Harmony module. 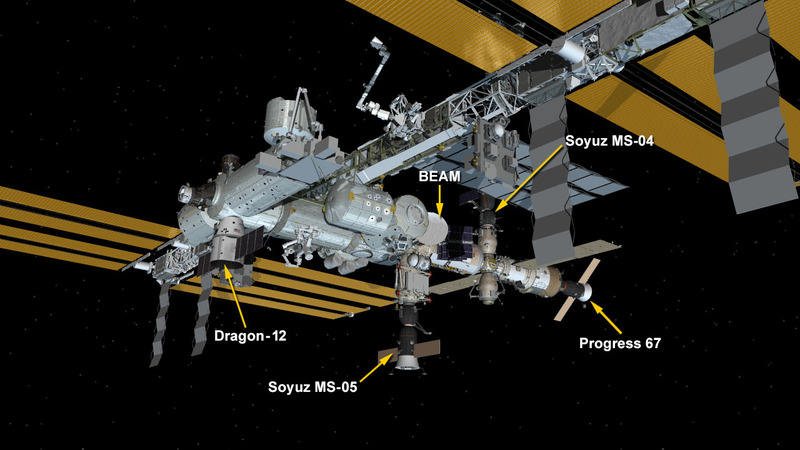 The SpaceX Dragon cargo spacecraft was berthed to the Harmony module of the International Space Station at 9:07 a.m. EDT. The hatch between the newly arrived spacecraft and the Harmony module of the space station is scheduled to be opened as soon as later today. CRS-12 is scheduled to deliver more than 6,400 pounds of supplies and payloads to the station, including a sweet treat for the astronauts: ice cream. 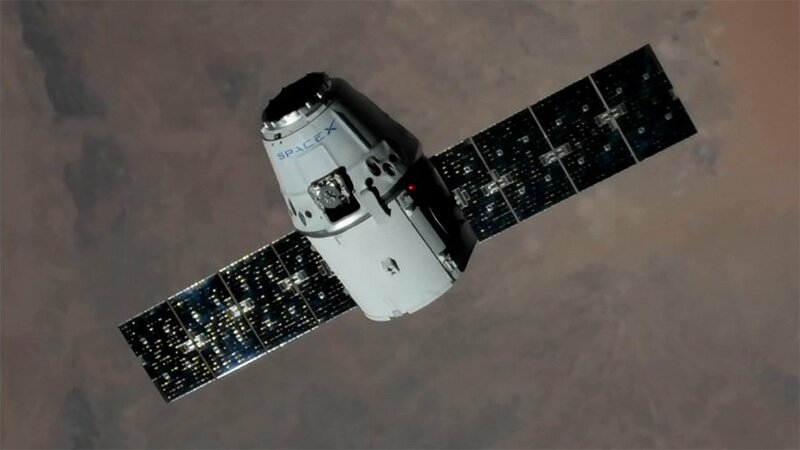 The small cups of chocolate, vanilla and birthday cake-flavored ice cream are arriving in freezers that will be reloaded with research samples for return to Earth when the Dragon spacecraft departs the station mid-September. For more information about the SpaceX CRS-12 mission, visit www.nasa.gov/spacex. Outside the International Space Station, Expedition 52 Commander Fyodor Yurchikhin and Flight Engineer Sergey Ryazanskiy conducted a spacewalk Aug. 17 to assess the condition of the exterior of the Russian segment of the complex and to install struts and handrails to facilitate future excursions. During the outing, Ryazanskiy manually deployed five small nanosatellites to collect data on a variety of scientific investigations. The spacewalk, which was the 202nd in support of space station assembly and maintenance, was the ninth in Yurchikhin’s career and the fourth for Ryazanskiy.